Carpenter PTO sponsors many fun events and activities throughout the school year. These events and activities are enhancement opportunities to improve learning experiences, social interactions, and overall development of Carpenter students! ​Carpenter PTO couldn't provide these supplemental events and activities without the help of our wonderful committee chairs/members/volunteers. Scroll down to learn about our volunteer opportunities and committee information. ​Have questions or interested in chairing or volunteering at an event or activity? Please contact the Carpenter PTO Co-Vice Presidents or, click HERE to login (click the sign-up tab) and go to the Sign-Up tab to view all current volunteer opportunities. Currently, looking for volunteers for next years' Committees! 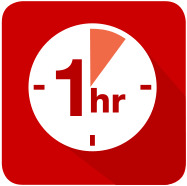 Just an Hour is an easy way to volunteer just one hour of your time for your child’s school! ​Just an Hour volunteers have been used for emergency Pizza Day volunteers, Spring Picnic and Fall Fest, Track A Thon volunteers, to name a few. Questions or want to sign up? ​Click HERE to reach Brad Olson, Just an Hour chair. PTO NEEDS YOU to help make Pizza Day run smoothly. If you would like to volunteer for Pizza days please click HERE. Login and click on Sign Up to see available dates. Questions? Contact Pizza Chairs Maria Orzula or Teresa Loizos. Click on the button below to see the current list of Committee Chairs/Members and contact information. Works with the school Librarian to coordinate a visit from a local or national author. This includes reaching out to potential authors, promoting author through advertisement and bulletin boards, and attending necessary PTO meetings. Plan welcome back to school night for new and returning families. Coordinate activities, food vendors, volunteers. Communicating with teachers, students, parents and Barnes and Noble to setup and promote a book fair in November; along with coordinating the Scholastic Book Fair in April. Responsible for assisting faculty and library coordinator with organizing and filing books in the Book Room. Advertise collection process for box tops to families. Coordinate collection and submission of box tops twice during the schoolyear. Receive and submit collected funds to PTO Treasurer. Give reports at PTO Meetings as necessary. Responsible for ideas to enhance school grounds and act as a liaison with the District 64 Representative to implement landscaping plans. Coordinate and develop a plan with any school groups (including scouts) for caring/upkeeping PTO garden areas. Red Ribbon Week serves as a catalyst to mobilize communities to educate youth and encourage participation in drug prevention activities. This national event is held every October. During Red Ribbon Week Carpenter’s PTO committee has provided trinkets to students to bring mindfulness around drug prevention. The ELF Representative is the communication liaison between Carpenter, the Carpenter PTO and ELF. The representative shares information around the sponsored events and fund raisers ELF holds throughout the year. The representative attends the November or December school staff meeting and reminds teachers and staff to complete applications for grants. Plan different environmentally friendly events throughout the schoolyear. Implement creative ways and activities to get the Carpenter community to recycle more and reduce waste. Work with Park Ridge Go Green. Held offsite (not on school grounds). Arrange program, gather and organize responses, order food (if applicable) and coordinate volunteers for the event. Past events included dodgeball, Basketball night at Maine South, etc. Event run by Physical Education Department. Parent representative to work with Physical Education Department to gather volunteers for the day of the event, purchase juice boxes and assist with any other items needed. Coordinate a spring party for outgoing 5th graders and their parents. Committee organizes all aspects of the party including dinner, decorations, memory book, invitations, entertainment, budget, promotion and parent volunteers. Committee chair responsible for creation, communication and distribution of form that details program and gift cards available. Additional responsibilities include sales and distribution of gift cards and creation of gift card ordering schedule. The PTO purchases gift cards at a discount, resulting in a profit. Girls on the Run is for 3rd-5th grade girls who are interested in getting into shape and learning more about themselves and the world around them. Committee members lead bi-weekly practices. Committee chairs coordinate with GOTR Chicago and implement lesson plans. Read to Succeed is a free educational program sponsored by Six Flags Theme Parks. The program encourages students in grades K through 6 to engage in recreational reading. Students who complete six hours of recreational, non-school-related reading are eligible to earn a free admission ticket to a participating Six Flags Theme Park. Committee chair promotes a reading goal for students and pass out reading logs, collect completed reading logs and order student prizes (free children's admission to Great America). Coordinate an evening Halloween party in October. Committee organizes all aspects of the party including food, decorations, entertainment, budget, promotion and parent volunteers. Solicit outside donations for a raffle that is conducted the evening of the party. Committee chair runs and organizes volunteers for this event held immediately before the Halloween party. Oversee Neat to Use Your Feet Week and Screen Free week to ensure all activities are scheduled, volunteers are coordinated, prizes have been ordered and supplementing/planning more activities, if needed. Acts as a liason for the District 64 Healthy Living Month representative. Schedule activities through the week to get students, faculty, and parents moving throughout the week. Ex: bike to school day, walk to school day, etc. Coordinate with Healthy Living Month Committee chair. Distribute cards and prizes. Coordinate events and activities in place of TV/computer usage for one week. Advertise and coordinate events such as the Bingo, craft night, Scholastic Book Fair, Science Expo, and the endcap is One School One Book main event. Coordinate a Bingo night at Carpenter. Arrange for small prizes to be distributed. Be the Bingo caller and organize a volunteer or two to help out. Coordinate a craft. Contact vendor/organization and arrange with them to come with supplies. Non-competitive. Students conduct experiments based on a given topic and put together a poster board and/or interactive display. One School, One Book (http://readtothem.org/programs/one-school-one-book/) promotes family literacy through a school-wide book club. Over the span of 6-8 weeks, each family will have an opportunity to participate by reading the designated book for that year. The PTO generously supports the program by providing a free book for each family and sponsoring book related activities such as a movie tie-in night and/or family reading night. Other activities occur in the school, during the program time span, to encourage engagement and participation. Event run by Music Department. PTO President and Vice President to setup and bring down decorations. Organize an event to be held at Oakton Ice Arena. A 6-week interactive reading program that encourages discussion and inquiry. The program is offered for grades 1-3. The chairperson recruits parents to lead a group for each grade level. Groups meet during lunch hour once a week in mid-winter. Carpenter parents and faculty will be encouraged to sign-up throughout the year to donate just one hour of their time to volunteer at events/parties/school functions - this is a great way to get involved in the PTO, especially if limited on time or cannot commit to certain dates. Committee chair will keep track of volunteers who have signed up for Just an Hour - contacting them for events, etc. and removing them from the list once their hour has been completed. Coordinate and plan one or two movie nights/day a year at the Pickwick, for special showings for Carpenter families. Arrange for volunteers to help with vision and hearing screening on picture day. Committee chair coordinates ordering pizza with vendor and arranging payment as well as staffing the lunch period with volunteers to serve the pizza. Secure volunteer room parents for each classroom. Communicate to room parents that they are responsible to coordinate the classroom Halloween and Valentine's Day parties. Room parent is also responsible for organizing one parent social during the schoolyear to help promote school unity, increase PTO involvement, and enhance school community. Room parents required to attend AT LEAST one PTO meeting. Promote safety awareness in and around the school, working with the principal and Student Council. Work with the district on "It's neat to use your feet week." Relay parent, staff and student safety issues to the PTO. Create school supply lists, organize sale of pre-pack school supplies and distribute pre-packs to classrooms 1-2 weeks prior to the first day of school. Districtwide Science Olympiad for grades 3-5 held at Emerson School in January or February. District organizes entire event. Committee chair oversees one of the Science Olympiad events and notifies the teams of important information. Also, the committee is responsible for the setting up and running the particular event that day. Acts as a liason for District 64 Science Olympiad chair. In February, coordinate annual all school semi-formal dance. Students are accompanied by parent, guardian, special adult., Committee chairs are responsible for communication to parents, promoting event, and collecting/organizing responses. Sell and order school t-shirts and other Carpenter items. Arranges George B volunteers, along with maintenance/care of costume. Organize an end of year family picnic held in June and including simple activities, refreshments and entertainment. In October, plan special activities for Principal Appreciation Day. In December and April, coordinate volunteers to provide lunch for teachers and staff for this bi-annual event. Promote and arrange an all school talent show. Can have individual or group acts. Encourage a variety of talents. Communicate expectations and rules. Hold rehearsals. Test the sound system. Enlist parent volunteers. Carpenter's largest fundraiser of the year. Co-chairs responsible for securing corporate sponsors and sponsors from the families; advertising for the event to Carpenter families; communication with teachers and staff; tshirt orders; and, raffle prizes. Overall event planning, including coordination with principal and PE department. Day of responsibilities include set up/break down of event, as well as overall coordination. Oversee other committee members including a volunteer coordinator and DVD coordinator. Coordinate teams of 4th and 5th grade girls. Schedule practices and also games, with neighboring schools. Taking pictures at various events from the first day of school until the end of February. Create collage pages to submit to Yearbook Company. Coordinate group picture day. Process orders and deliver yearbooks to students and staff.